Ted Kreis, marketing director of the Northern Plains Potato Growers Association, said “movement is going well.” USDA figures show “for the week ending Dec. 6 that 124,000 hundredweight of Red River Valley potatoes had been shipped. “This is up 18 percent this year over the previous year. And it’s more than 2012 and 2011 too,” Kreis added. For 2014 as a whole volume is up despite the fact that the crop started two weeks later than in 2013. “We’ve made up the difference in the late start,” he said. Despite a later start than 2013, volume is up for Red River Valley potatoes. The Red River Valley produced somewhat fewer yellow potatoes than last year, but Kreis said these are “insignificant” numbers. Red potato production was up somewhat. “The quality was much better” in the 2014 crop, he noted. “We had more potatoes and better quality.” In December the stocks on hand were the same volume “but there will be less shrink” in the pack-out. David Moquist, a potato grower-packer-shipper and secretary-treasurer of Crystal, ND-based O.C. Schulz, is pleased by movement into December. Dolan noted that Associated’s total potato volume is down from a year ago, but the saleable volume is up because of high packouts due to excellent quality. Small-sized Russet potatoes produced in Idaho and Washington in 2014 have brought down the market and created competition for Red River Valley red potatoes. “This has hurt prices,” Dolan said. He expected the market will improve in January because Wisconsin shippers will have finished most of their shipping and Florida’s spring growers are not expected to have the volume produced a year ago. Toward the end of 2011, Mark Hoddle, an entomologist at the University of California, Riverside, first released into a citrus grove on campus a batch of Pakistani wasps that are natural enemies of the Asian citrus psyllid (ACP), the vector of a bacterium that causes Huanglongbing (HLB), a lethal citrus disease. Now on Tuesday, Dec. 16, Hoddle, the director of UCR’s Center for Invasive Species Research, is poised to release in the same grove the wasp Diaphorencyrtus aligarhensis, a second species of ACP natural enemy, also from the Punjab region of Pakistan. Shortly after 9 a.m., Chancellor Kim A. Wilcox will release the first set of the new wasps from a vial into the grove. Media representatives may arrive as early as 8:30 a.m. The new wasp attacks the second and third developmental stages of immature ACP (called nymphs) whereas Tamarixia attacks the larger nymphs in the fourth and fifth stages of development. ACP nymphs have five developmental stages, or instars, after they hatch from the egg. Successful biocontrol of citrus pests in California sometimes requires more than one species of natural enemy because citrus is grown in a variety of different habitats – hot desert areas like Coachella, cooler coastal zones like Ventura, and intermediate areas like Riverside/Redlands and northern San Diego County. Around 300 male and female wasps will be released on Dec. 16. Hoddle and his team will open vials of the wasps to allow them to fly into the citrus orchard to start hunting for ACP nymphs. Mainland Australian cherry growers had previously ignored the option to export directly to China with cold treatment, but that approach has changed this season. 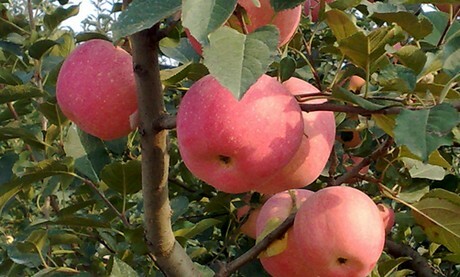 The harvest of Fuji apples at Isnaet, China has come finished for the season, the apples are on the market and in storage. Peter Zhu from the company said there are some differences compared to last season. More apples are in storage as growers expect a higher price in the first half of 2015. Demand for apples fell in October and not expected to be picked for a few months. Harvesting will begin mid to late November for the new season South African lychees. Derek Donkin, CEO of Subtrop said it is a bit early to accurately predict how the season would go but it is looking better than last year. Last year South Africa produced around 4,500 MT, this is expected to be around 5,500 MT. South Africa exports around 50% of the lychees, mostly to the European market, the other 50% goes to the domestic market. United Natural Foods, Inc., is positioned for continued strong growth, especially as it expands the perishables offerings from Tony’s Fine Foods beyond the West Coast while simultaneously reducing warehouse and distribution costs, analysts said Wednesday, a day after UNFI’s annual analyst meeting. UNFI, based in Providence, R.I., acquired Tony’s Fine Foods, West Sacramento, Calif., last May. The Tony’s offering encompasses specialty cheeses, baked goods, deli, packaged proteins, seafood and prepared foods. Analysts said UNFI’s effort to expand Tony’s offerings is part of the company’s new “building out the store” strategy — aspiring to have the top share in each category it serves. The near-term strategy involves rolling out the Tony’s model to Denver; Racine, Wis., which serves Chicago; and UNFI’s Hudson Valley facility in Upstate New York, which serves New York City, with the goal of boosting the company’s 1.5% share of the ethnic/gourmet categories, Short said. The three facilities, along with Tony’s West Coast operation, will serve as main freight consolidation points where the Tony’s merchandise can flow to the rest of the country, Short said. According to Andrew Wolf, managing director for BB&T Capital Markets, Boston, rolling out the Tony’s products will require UNFI to secure a major new customer in each region — a process that should take one to five months, he added. UNFI is also seeking to reduce costs, the analysts said. According to Kelly Bania, an analyst with BMO Capital Markets, New York, “UNFI is well positioned to deliver operating margin upside relative to expectations as investments in technology and efficiency initiatives gain critical mass in coming years. “Importantly, UNFI’s savings from its warehouse management system implementation could accelerate in coming years as only three of its distribution centers are currently on WMS,” Bania said. The company expects WMS to be implemented at a total of nine facilities by next October, with the system operating at all 18 facilities by the end of fiscal 2017, she pointed out. “While not all cost savings will fall to the bottom line and consolidated operating margin expansion will prove more difficult in coming years as UNFI integrates lower-margin Tony’s, an outlook for a more accelerated pace of implementation could result in more meaningful cost savings in coming years,” Bania added. Wolf said UNFI “made a convincing case” for its cost-cutting prospects, including plans to lower its cost structure and increase its relevance with customers through use of technology — for example, backhauling to improve logistics and engineered labor standards to improve warehouse operations. 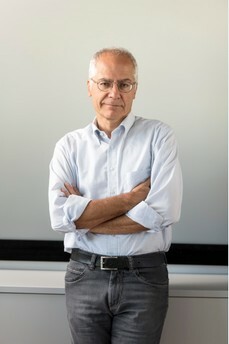 In addition, the company is implementing programs like iUNFI, a mobile order-entry system that has enabled customers to improve their fill rates by 0.7%; and “UNFI arrive,” which helps customers track deliveries more carefully to do a better job of planning in-store labor, Wolf pointed out. “It is still unknown how the Russian ban will affect the kiwi season. We believe the direct effects will be rather limited, as Russia is not one of our main markets, but we will have to deal with the increased competition from other producer countries like for example Greece. 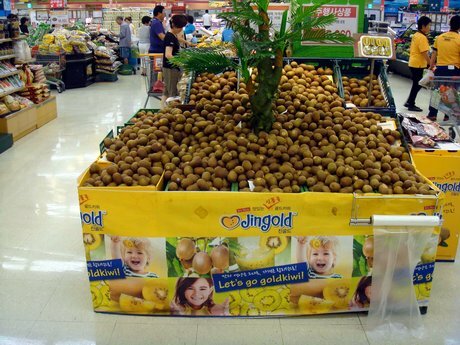 This is why we will work to strengthen the brand and guarantee constant high quality to our clients,” refer the managers of the KiwiGold consortium, owner of the Jingold brand. 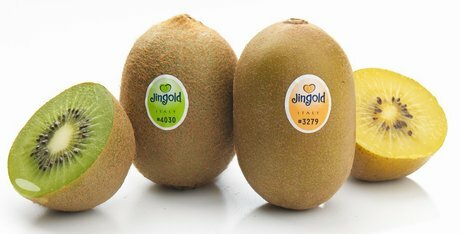 The Jingold kiwi campaign will start in the next few days. The suitable moment to harvest is established by the technical managers of the Consortium and it coincides with the moment when the kiwis reach the perfect organoleptic qualities. The main destination market is the European one, where the produce is distributed by groups like Edeka, Corte Ingles, Coop and Tesco. The Asian market is the one growing the most. Following the hail storms which occurred in the Orange River Region and in the Saron/Halfmanshof area (part of the Berg River Region) last Monday, SATGI estimated losses in the Orange River Region of approximately 1 million 4.5 kg equivalent cartons. The volume affected in the Saron/Halfmanshof area is approximately 1.2 million 4.5kg equivalent cartons. It should however be noted that the final impact of hail damage will only be known once all product has been packed. The vines were in the early growth phase, with the early varieties being at ±10 days prior to flowering, whilst the late varieties are ±4 weeks prior to flowering. Shoot lengths vary from 15cm (late varieties) to 40cm (early varieties). The normal start of the harvest period in this specific area is approximately Week 51/52. The whole affected area covers approximately 600 ha in Saron/Halfmanshof. Although the hail damage differs from farm to farm, early assessments indicate that up to 1,200 000 million equivalent cartons were lost out of the ±2 500 000 million equivalent cartons packed annually in this area (almost 50% of production). It should however be noted that the final impact of hail damage is only known once all product has been packed, as the visual damage on the vine differs considerably from the visual damage seen at maturity. Since this damage occurred prior to flowering, the small whole bunches that still looks fine now, may be lost in the next few weeks as a result of the stress the vine has now been exposed to (whole shoots were knocked off some vines). The South African table grape industry anticipates a good 2014/15 packing season. In general, bud break and vine development were excellent over the last couple of months in all areas due to good chilling accumulation in winter. The excellent winter conditions also bode well for a good crop volume and quality for the season ahead. Beneficial rains over the Red River Valley in late August and early September were setting the stage for good harvest conditions of the region’s red potato crop. Ted Kreis, marketing and communications director of the Northern Plains Potato Growers Association in East Grand Forks, MN, added that good harvest conditions, including a softening of the northern plains soil, can be as important to crop quality as the growing conditions that created the potatoes. If the soil is too hard it can damage the spuds during harvest. Kreis said some Red River Valley reds were packed and immediately shipped in early September. “We expect a good crop this year,” Kreis told The Produce News. “The early reports are that everything is looking good now. There have been a lot of samples” but the large harvest for storage wouldn’t begin until mid-September. The Red River Valley’s red potato acreage is expected to be up 1 or 2 percent this year. In 2013, the valley produced 23,000 acres of red potatoes. North Dakota produces a total of about 90,000 acres of potatoes. Beyond reds, these are mostly russets that are virtually dedicated to the processing market. Kreis added that the red potato acreage actually includes yellow potatoes, which will represent about 8 percent of the fresh production. David Moquist, the secretary-treasurer of O.C. Schulz & Sons Inc., located in Crystal, ND, said the quality of the 2014 potato crop looks good, with higher yields than a year ago. In a press release that Kreis sent to The Produce News on Sept. 5, he said, “All signs are that it will be a very nice crop. Once we got past the late spring planting, growing conditions have been ideal, but we are still predicting average yields, but harvested acres may be up a bit. This would give us between 4.2 million and 4.5 million hundredweight of potatoes for the fresh market; over 90 percent would be reds, the remainder yellows. The California Date Administrative Committee is a federal marketing order covering date growers in Riverside County, encompassing the date-growing regions of the Coachella Valley. A California date palm. (Photo courtesy of California Date Administration Committee). While there are about 30 varieties of dates grown in the valley, the two largest commercially grown varieties are Medjool and Deglet Noor. The Medjool harvest, which normally starts about mid-September, was already under way, Cooper said. “Deglets normally start about the first couple of weeks in October, but there may actually be Deglets coming in the last week of September” and very likely by Oct. 5 this year. For the last 10 or 15 years, the industry has been going through a process of old groves being taken out and new ones being planted, Cooper said. Total acreage has remained fairly constant at around 9,000 acres. The mixture of new groves coming into production, old groves that are declining in production or being taken out of production and other acreage that is continuing in production makes estimating the crop size difficult, she said. As in the past, the date committee’s promotional activities are largely event oriented. “For the upcoming season, we are going to kick it off” with participation in the Produce Marketing Association expo in Anaheim, CA, on Oct. 17-19, she said. California Dates exhibited at PMA in Anaheim two years ago, with Oliver Wolf, executive chef with J.W. Marriott Desert Springs Resort & Spa in Desert Springs, CA, preparing date dishes at the booth for show attendees to sample. This year, California Dates is exhibiting at a larger booth and bringing in a different chef — Eric Theiss, restaurant owner, on-air chef and cookbook publisher. The date committee will be participating in several high profile local events in the Coachella Valley in 2015, beginning with a dates-and-wines event called “Open Your Heart” in collaboration with the American Heart Association, she said. About a week later, California Dates will again be participating in a “Go Red for Women” event sponsored by the American Heart Association. In the middle of February, “we are back into the Date Festival again. That is where we have chefs every day that are creating dishes for the public to sample. We have done this now about eight years,” she added. In April, the date committee will be participating in the California Dietetic Association conference “where we have an exhibit, give out samples and greet the dieticians,” Cooper said. The California Date Committee has also increased its involvement in nutritional research of dates. The American Heart Association has pumped extra life into California’s Medjool date industry. It seems like California kiwifruit growers have escaped the worst of the drought, with normal production expected. 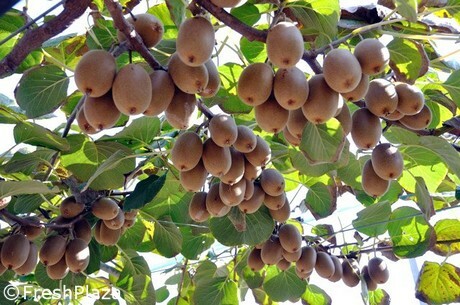 Tags: Californian, Forecasts, Fruit, good, industry, kiwifruit, Logistics, quality, U.S. Following the 2013/2014 season which, despite delays, still closed on time, the new harvest – 10 days earlier than last summer – is already knocking on the door. Everything points to a full harvest, not only in the Alps region and Italy, but also in Europe’s most high profile growing areas. The Europe-wide harvest in the 28 EU member states will not reach the 12 million limit, but it is still the largest harvest in recent years. 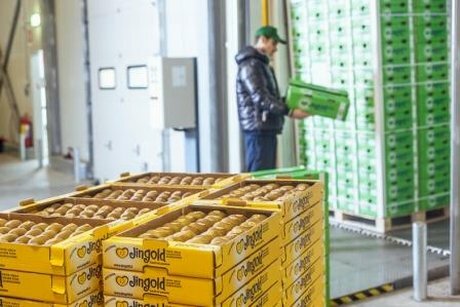 In Poland in particular, a record harvest exceeding 3.5 million t is expected which, in view of the import ban for Europe’s fruit imposed by Russia, represents the largest element of uncertainty in this spring marketing. Mr Dichgans, before looking more closely at the present sales season, can you look back on the 2013/14 campaign? The marketing of last year’s harvest started in 2013 with great optimism and high prices. However, remnants of the economic crisis over recent years and the resulting drop in consumption have generally limited spending on food, including fruit and vegetables, in particular apples in many of Europe’s core countries. This meant that de-stocking of the stored harvest was delayed month after month and was only completed at the end of June/early July for some of our main varieties including Braeburn, Granny or Red Delicious. Now, at the start of the new 2014 harvest, only small stocks of Golden remain, but which have a firm customer base until mid-September and a clearly defined market, which we have also supplied in the past. With the arrival of the new Golden harvest, the stock from the previous harvest is then sold. How is the new harvest in South Tyrol turning out? The South Tyrol harvest is estimated at 1.2 m tons, so nearly 9% over the previous year’s figure. This represents an outstanding result for our region. But apart from this figure alone, which by itself is obviously worthy of a headline, we should remember that we have already reached this harvest volume – namely in 2011. Cropping and fruit sizes are fine. To harvest the right fruit quality with the necessary storage characteristics, the harvesting guidelines for our growers were revised again this spring. I am assuming good quality for the 2014 harvest, also because hailstorms have only affected small areas up to now. What should we expect in terms of price development? There is already active demand for the first Gala, the overseas stocks for this variety having been practically cleared. The passage from imported goods to fresh European apple harvest therefore seems to be fairly smooth. The low price level, with which we are climbing out of the old marketing season, is obviously a strong incentive for a rapid transition for our customers. Sales pressure, which builds every year during the harvest weeks, is also a contributing factor for the season to get off to a buoyant start. I see this as the best prerequisite for clearing the expected harvest volumes on schedule and to head into calmer waters next year. How will the Russian-imposed import ban on European food, including fruit and vegetables, affect the balance on the apple market? It was foreseen that it would go beyond the initial import ban on Polish apples. However, this initial decision was to hit the Polish apple sector at its core because, for historical reasons, Russia is Poland’s largest market and therefore vital importing an annual 500,000 to 700,000 tons of Polish apples. If this situation lasts, it may lead to an imbalanced European apple market – even more with the bumper harvest expected in Europe. On the other hand, Russia has to replace the banned imports from Poland and Europe with imports from other regions. This may lead to supplies from China or – from next spring – purchases from the southern hemisphere. This means that these quantities will be withdrawn from other markets. All in all, this is a major global shift in the flow of goods, where winners and losers are not yet known. A conclusion can be drawn as of now, however: namely that there will be fewer and fewer apples from overseas on the European market and Europe will become increasingly self-sufficient. What innovations can we expect in the new season? Many new plantations of the last years will now come into crop. The Nicoter/Kanzi® and Scifresh/Jazz® varieties are making great progress in sales volumes with this harvest. Our leading priority this season is therefore to build up distribution of these two outstanding apple varieties. In addition, we will use INTERPOMA, to be held in Bozen in November, as an opportunity to officially present a world première of a new yellow-skinned variety, a wonderfully tasty, juicy and crunchy apple, a great addition to the current selection of varieties. I am unable to give any more details at the current point in time and I must ask you to be patient or meet me in South Tyrol in three months.